Sometimes on the crazy journey of life, you just get the urge to pack a bag and go on an adventure. That's kind of the premise for our entire lifestyle - both in and out of the shop at Blue Ridge Overland Gear. That's where the Got to Go Bag, our ultimate EDC kit bag, comes in. Our Got to Go Every Day Carry is the perfect union of functionality and style. 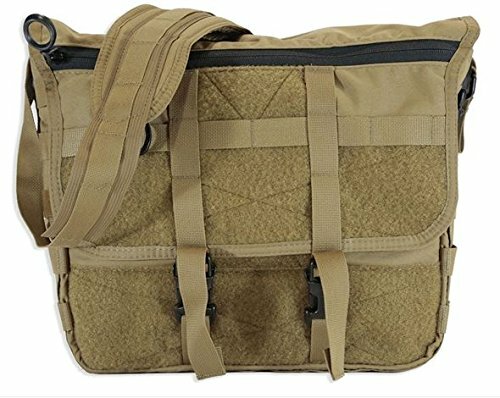 This bag is perfect for packing fly rods for a quick trip to the river, or a laptop for the office. It makes a perfect urban daypack or wilderness day trip bag. The Got to Go bag is versatile enough to configure a variety of sub-kits, for any journey or destination. The great thing about the Got to Go Bag is that it's modular. It can be expanded with pouches and/or the Got to Go Trunk Add-on. Multiple Velcro platforms allow you to attach darn near any hook and loop pouch you'd like. Add the optional padded hip belt. The hip belt features a lumbar pad for added comfort. This bag also features our authentic, branded leather logo. Made entirely in the USA. If you have any questions about this product by Blue Ridge Overland Gear, contact us by completing and submitting the form below. If you are looking for a specif part number, please include it with your message.